The 3 variables from the data set are all numeric variables. Note: the results above are from Proc Contents. 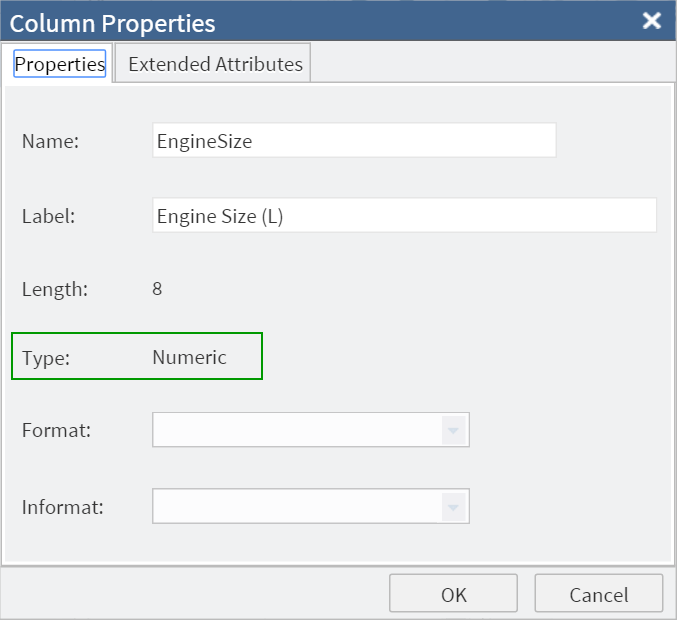 Numeric variable does not allow any character or text values. You often need to compute summary statistics such as mean, standard deviation or median on numeric variables. 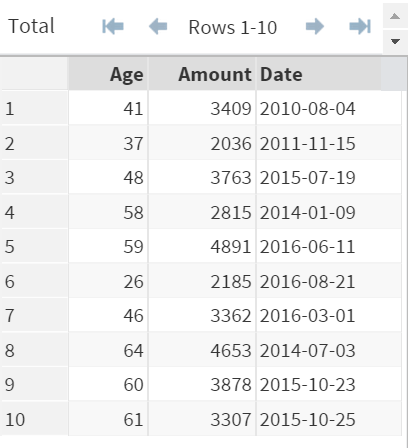 Having a character value (such as "unknown", "abc") in a numeric variable will prevent the statistics to be computed. You can't avoid having missing value(s) when dealing with data. 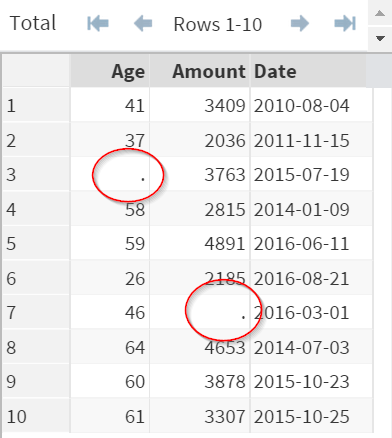 When there is a missing value, the numeric variable will show a dot (.) in the data set. Missing value means that there is no information available in that particular field. It does NOT equal zero (0). 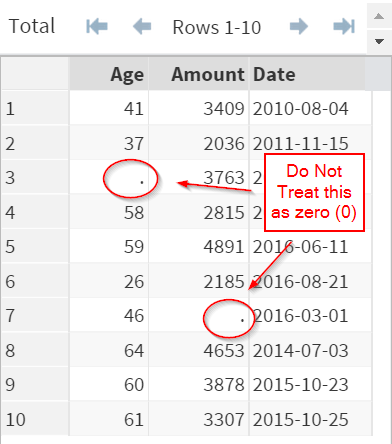 Handling the date values in SAS requires special attention. This will be explained in details later this module. Handling the date values (numeric value) requires special attention. This will be explained in later sessions of this module. Which of the following values are best kept under a numeric variable?